I really missed a good deal that comes in hand while getting this camera and I don’t want to miss the chance by paying little more on it where this model is on near closing its business represented by the latest models in its series. I’m quite content with the quality of pictures from this 12 megapixel point and shoot camera with features almost double than my currently corrupted with lens, Canon PowerShot SD850 IS. I really wished for a camera with more zooming and light weighted and while studying on this format I find canon sx220hs getting prior in many area and even though its zooming is less compared to its similar feature based on brands Nikon, Sony… Canon is much better at picture quality and high speed shutter which I lack during low light with previous one. Moreover the design and the way of handing the camera want me to go for it with least disappointment with weight adding few more grams and battery that runs out sooner than the previous one… glad both the cameras hold the same batter for me to use one as spare while traveling. 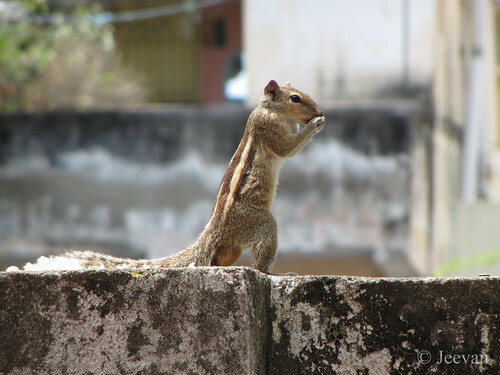 Back in action, the cute lil squirrel was very active running here and there on the compound wall feeding on the idly left over and it doesn’t stop a moment for me until few seconds of munching… the camera acted too smart and fast capturing the squirrel never ever so clear nearby me! I’m ahead to go out testing and experience the various shooting modes it holds along extending my road trip on ECR further to Point Calimere. Holding the title of late super hit Tamil movie stared by superstar RajiniKanth has nothing to do with this subject, which is very different to think anyone normally about the lives of those who dare to recover the bodies of whom committing suicide by jumping off the cliff into deep valleys. Renowned for such real in incidents and point, the movie grabs the plot in Kodaikanal and along the adjoining parts of Munnar. A couple of films old hero Krishna has led the role of recovering bodies along with the help of his friends Thambi Ramaiah and Karunas has uplifted the script with their sensible humor preventing from leading it so serious. The tough job of recovery wasn’t stressful to impressive and it was just a part of the film which deals with lives on land above the cliff and mounds. Bindu Madhavi pursues Krishna in love following his good heart and bringing above the body of her sister who jumped off the cliff. Not well known in front, Krishna is best suited for the role whose appearance replaces a real life hero involved in the recovery job. The Pasanga fame Jayaprakash does a mystery role whose activity was no were to guess but a thin line of villain expression on behalf. Bindu Madhavi has a matured face and height and while seeking for attention she expresses right at moments. Almost the movie moves in darkness and night mode, it lacks clear picture at background. The cinematography wasn’t much better than expected but better at behalf ending the movie where the much bloodiness hides in darkness. The BGM wasn’t impressive except the songs, where the two melodies by Yuvan and Karthik Raja were humming sort even I find hard to cope with lyrics. The pre-release ‘Aambalaikum Pombalaikum…’ is a peppy number with catching tunes and somehow true lyrics! Kazgugu (Eagle) has gasped the best aspiration for a better cinema from the usual commercial aspects and represents the limelight with darkness. Before you reach the cool paradise Kodaikanal, you can’t miss few wonderful sights that come across the Ghats section while drive through Batlagundu – a town very close to the foothills of this hill station. Climbing couple of miles on the winding road holds a lovely view of the Manjalar Dam to the valley on left, which is situated by three sides of hills around, leaves you stunning with its vista. Another few miles on Ghats is the Dum Dum Rock; with wide space on road, this hairpin bend holds a viewpoint to check the Manjalar Dam and the Thalaiyar Falls. Also known as Rat Tail Falls is a long thin white strip of waterfall flows across the valley, facing us to a background of black rock cliff is a nature wonder whether it flows or not. Concentrating on the shape of rat tail, the falls has a low concrete wall on either side on the very edge at the top of the fall and leading to it is inaccessible except people who dare to hike to this rewarding height. For a hiker reaching the bottom of the falls is possible in the dry season following the backwater stream of Manjalar Reservoir. 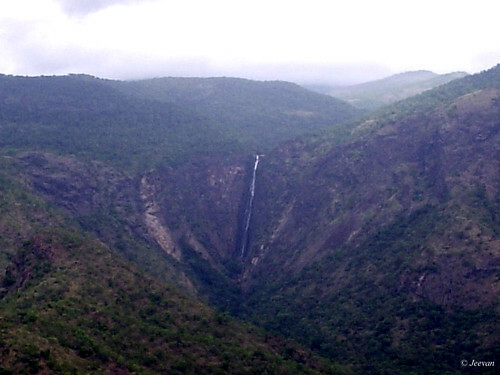 The falls is the highest waterfall in Tamil Nadu and third in India with 975 ft (297 m) tall is 267th highest in the world. Silver Cascade is another beautiful waterfall comes very close nearing Kodaikanal, is first stop among its destinations and the flow of water is impressive except for its lack of pristine these days. Lately it was flood amazing! 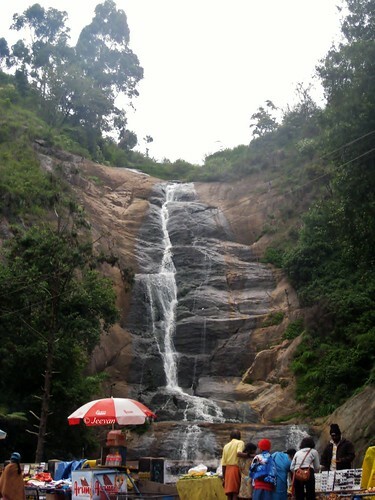 The 180 ft waterfall is caused by the outflow of Kodaikanal Lake and small stream by around. to whom she whisper through her cell phone. respond to the never hold out cell phone. Thought of a girl whom I checked lately on an open terrace... came to mind after reading a romantic poem from my friend Dawn... inspired to write it down. Updated the Congenial song (check sidebar on right) with Azhaipaya (will u call) from Tamil movie Kadhalil Sodhapuvadhu Yeppadi. One of my recent fav, to go well with this post. 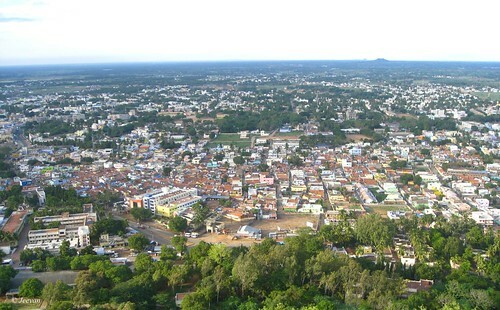 Palani is a temple town in Dindigul district of TN, deriving its name from two Tamil words ‘Pazham and Nee’ which means ‘fruit you’ is renowned for Lord Murugan shrine on hillock and having it amid grows the town. 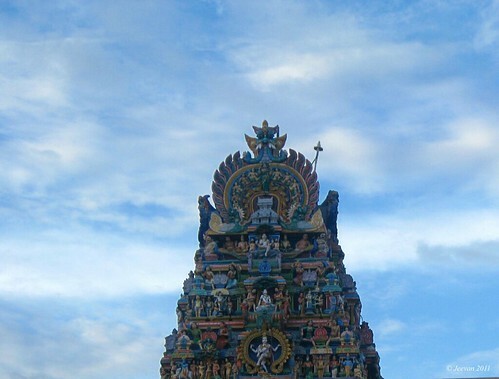 Apart the arrival of devotees that keep busy this town with annual festivals around the years, Palani is surrounded by natural resources and agriculture and vegetation is a great to be sighted if went around its suburb. Holding the Western Ghats to its southeast, Palani is a picturesque town with frequent sight of mist capping the mountains and green slopes to its backdrop enhances with vast green landscapes of many coconut and mango groves. 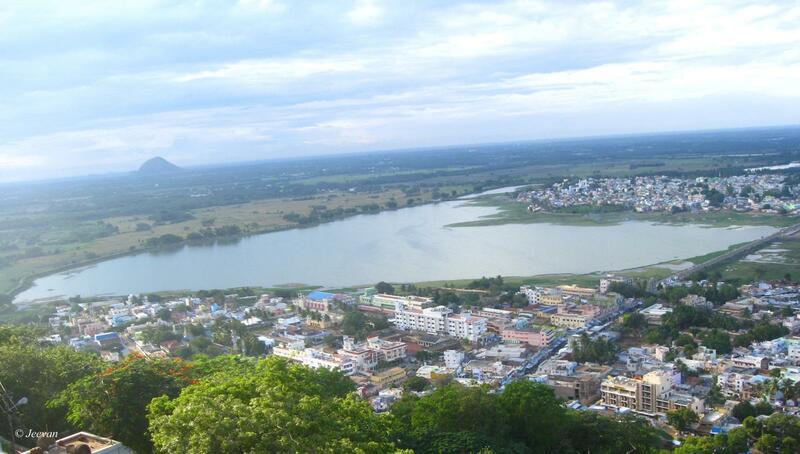 The main source of water to the town is the spring water that kept flowing throughout the year from Varathamanathi Dam on the foothills of the Western Ghats that lead to the cold paradise Kodaikanal. 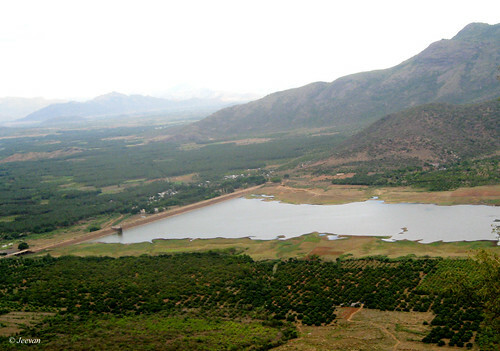 The Varathamanathi Dam is built on the rocks and it’s a wonderful picnic spot with a small park and cool breeze blow down from the mountain slopes. 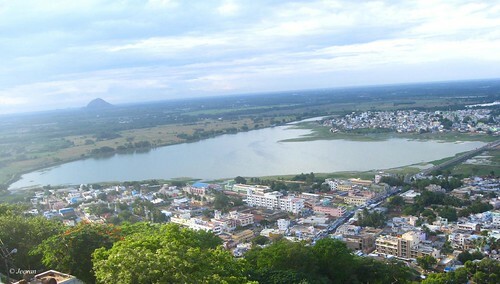 The Shanmughanadi, a tributary of Amaravathii River runs not far from the town and the town itself has a charming tank called Vaiyapuri and if it was maintained neatly would be an invite to the town, which can be seen in the first image above. 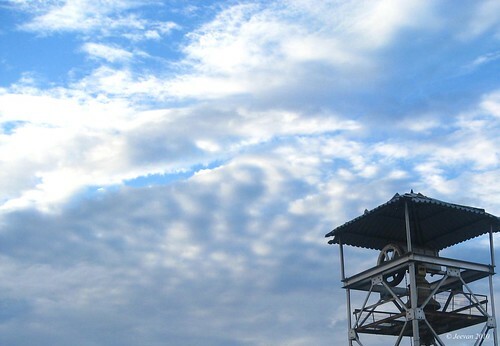 The Palani hillock is 137.16m height and has a flight of 697 steps to climb and there are also alternative sources like cable car and rope winch to reach the top. From the hillock one can get a panoramic of 360 degree of vast plains and cityscape beneath; and the cold Kodaikanal mountains at back which is 60km by road from here. The last two pictures above are shots on sky along with the temple and bell towers, and all the amazing photo here were taken by my mother and edited by me. My parents were glad to check the temple at hillock through the winch which I was unable to board to left at plains to explore the beautiful suburbs of Palani. 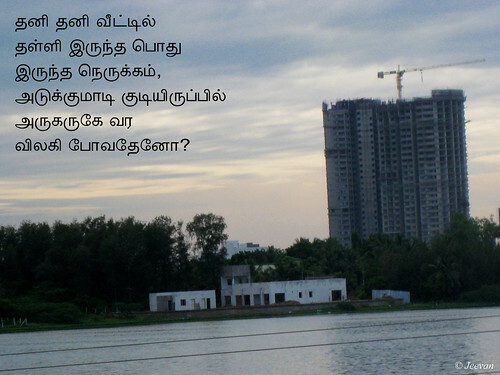 The photo captured the multistory building near the Muttukadu river bank beside the OMR, Chennai. It’s obvious that today’s multistory or multiplex complex culture has kept away people’s interaction unlike before living at independent house people shared a lot with neighbors and treat each other as family members... We miss the sharing and interaction a lot after transfer into apartments 6 years’ back... where smiling is also a rare exchange! Derived from a chapter on Su.Venkatesan’s Award winning novel Kaaval Kottam, the movie Aravaan reveals the epic of ever known inhabitants of 18th century lived in southern Tamil Nadu and the practice of men sacrifice. The Aravaan is a small character appears in Indian epic Mahabharata, who scarifies himself to goddess to make, won Pandava’s on war for which he received the boon of heredity worship of Koothandavar priced by lord Krishna, who also married him to fulfill his desire by taking a women form before he killed. The Aravaan, who was presented by another boon to watch the 18 days war of Mahabharata through his cutoff head’s eyes, has been vitally followed as heredity worships of Draupadi and to watch the custom of war, his head had been hanged at a taller post. Thus commemorating this custom, in a part of Tamil Nadu called Kuvakam, holds an 18 day festival where the transgender are married to men as Aravaan whose sacrifice hold stage to leave transgendered window. But from this epic and custom, the movie Aravaan is quite different in depicting the story where the director’s touch has been a lot on this commercial period. Taking just 10 page facts from the novel, director Vasanthabalan has modified the picture into perfect period setting and selecting best ones for the role to enhance, but somehow lack to create feeling at back in emotion which are similar to epic television serials. Pasupathi for his expression of reality, the role has feed him as thieving Kombuthi and Aadi at another hand has well drawn into the niches whose attitude and body language thrive. The simple action and adventure doesn’t curious but the setting was… and having a beautiful heroin, the romance and love is missing. The detail background setting and location selection and edition are all weld well to create the period of different generation. Singer Karthik as debuted music director scores average, except Nila song nothing shines like moon. The ending was indifferent and seems like forced to end to say no need scarifies… the flashback is a great drawback to the vigorous pre-interval. Aravaan amaze with incredible period setting and costumes, location and uniform of total ingredients... don’t expect much. 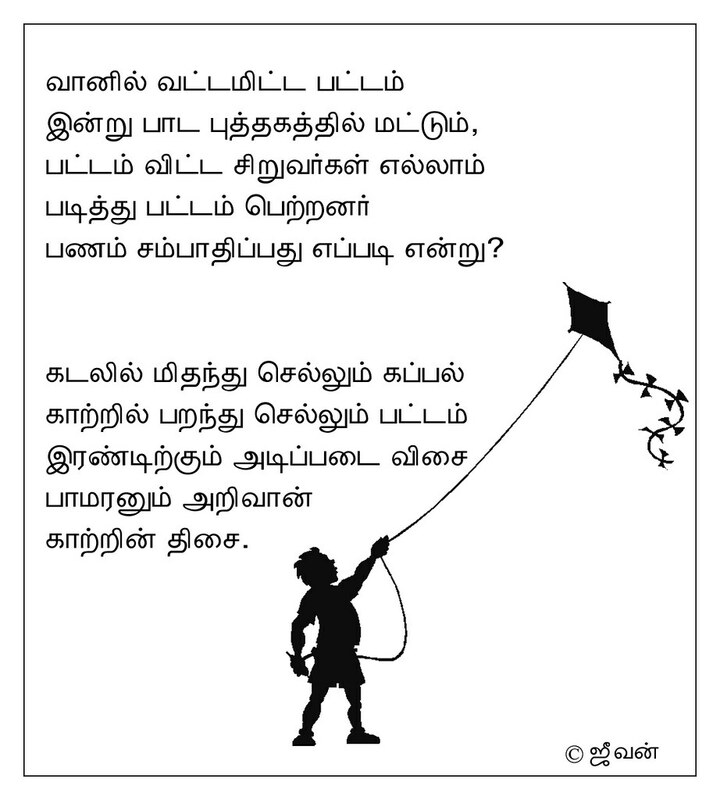 Few kids in our neighborhood left kite late evening… which has turn into rare sight in Chennai these days due to restrictions, I enjoyed watching them leaving kite against the open ground in front of our house from their home terrace. It’s quite nostalgia and as a kite enthusiastic I had been once in their life time... we even left kites on mid summer heat from our terrace. 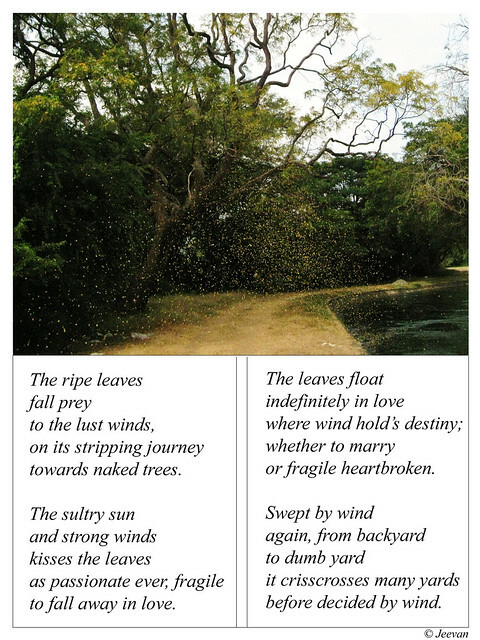 Along the wind, the kite floats me back in air and inspired to write this poem. The little tom seems like an ardent horse rider who enjoys sitting on the horse back. 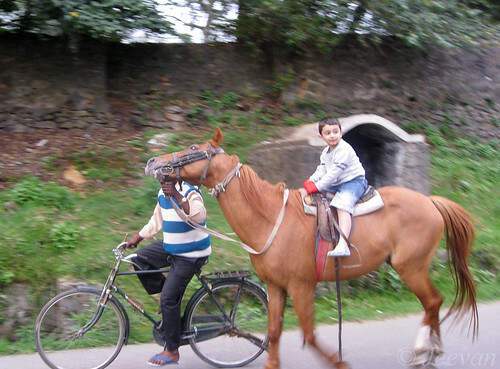 We saw him taking the horse ride enthusiastically following the couple of day’s constant visit to Kodaikanal Lake in evening while staying over there. Those in India would no need an intro on Kodaikanal which is a wonderful hill station and natural paradise in South India lying in the Dindigul district of Tamil Nadu. 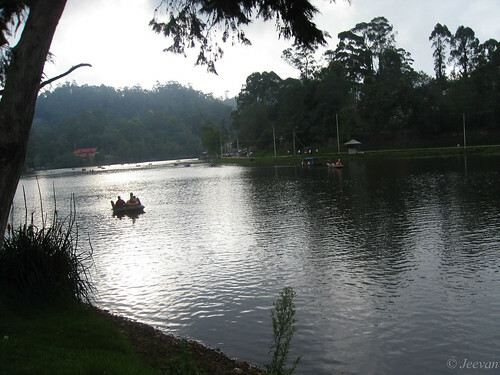 Kodaikanal, called as princess of hills never fails to fascinate me with its pristine, cold and misty environment. However I visit, the hunger for this summer holiday terrace treats me like never seems to end and not only as a retreat from heat, but always being best in climate and natural environment... and there’s a lot need to discover yet. 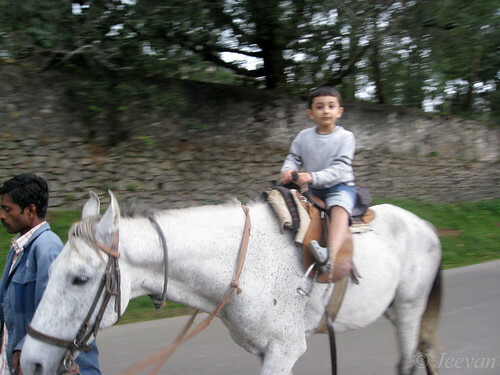 Back to the little tom, he’s obviously seems to come from north India and his cute expressions and smiling face induce to shoot him while on horseback and within a hour he drew back another horse to fulfill his as much desire for horse ride. These photos were taken on the second day… and while leaving we said bye to him who shyly smiled sitting on his mother’s lap accompanied by his sister and father on the pavement aside the lake. PS. 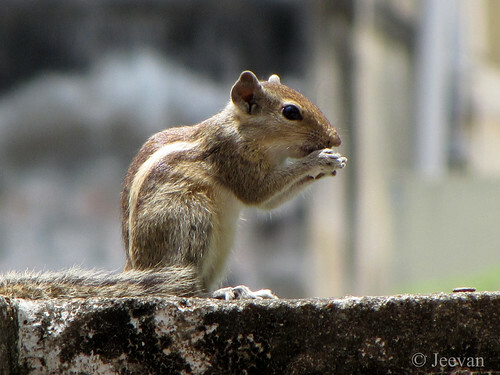 The header Pic is also a shot from Kodaikanal. Again inspired by the wind and the fall of leaves... The photo was shot near Valparai, Coimbatore and the shower of leaves was caused by a Black Langur which shook from the tree top, and just seeing us it leaped into another tree and disappeared. I created this in a calendar type and filling the space with my poem.